First Christmas day snowfall in years here in southern Virginia. 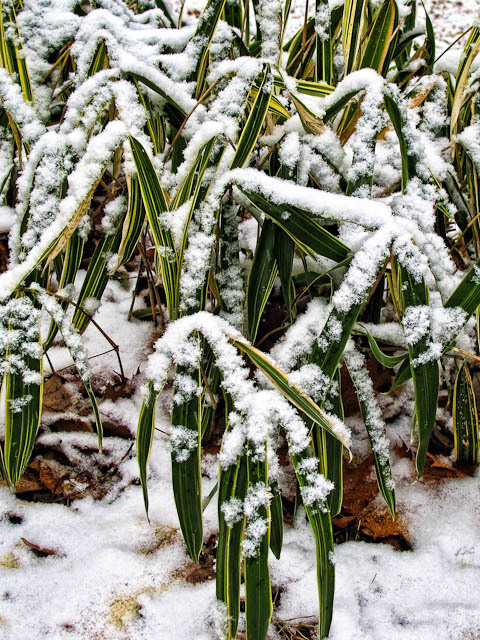 Wild bamboo looked better with some newly fallen snow resting on its pointed, bright green leaves. Hours afterwards, the bamboo was completely covered with the while stuff…as is our driveway.